better than i could have imagined: Saved! we recently started attending a new church. well…the church itself isn't new….just new to us. we have felt led to leave our old church and find a church home closer to our home. i prayed and prayed….and was very nervous to say the least….as i would be attending most sundays without geoff which wouldn't normally be a problem (and isn't a problem, per se)….but a little overwhelming to start someplace new and alone with our 3 kids. and honestly, i was very hesitant. i was really good at making excuses. and admittedly….one rainy morning in early april….i was ready to make an excuse again. the rain. pouring down. no one to drop us off at the door….but for the 4 of us to walk. and where do we park? and then where do we go from there? but parker didn't let me. thankfully (and all part of God's plan)…Parker was so adamant to go. she wouldn't let me make an excuse. and so we did. and we've been every Sunday since (minus the 2 sundays Grace was sick). and i'm not sure when it happened….as i have frequently prayed for all of our children to come to know Christ…..but over the past couple of months…Parker has been heavy on my heart. i feel like she, if ready, could make this important decision to make Jesus the Lord of her life. i also prayed for me and geoff….that we would have the right words to speak to her to fill her little soul with Truth. and that we would be good examples to her and for her. i really felt Vacation Bible School could have been that time for her. i started talking to her a little bit more in depth about salvation in the days leading up to that week. how all she has to do is believe in the Lord Jesus Christ and she will be saved (Acts 16:31). how Jesus had no sin….but we do (when Eve and Adam ate from the tree of knowledge, sin entered the world- (Genesis 3:6-7). for all have sinned and fall short of the glory of God (Romans 3:23). she would take in what i said….ask maybe a few questions….and then just sort of nod her head in acknowledgement…and then move onto something else. which i was ok with. i didn't want to be overbearing…while at the same time….i also knew i needed to talk with her and guide her some, too. so when she was done talking about it for the moment….i left it alone. and then would bring it up again at a later time when i felt led. so VBS happened (in June) and she LOVED it. she teared up on tuesday of that week because she wanted to be able to go the next week, as well (and it only lasts 1 week!). we talked a little bit more about salvation…and she didn't really interact much with me about it. the following week was when Grace was in the hospital and all of that shenanigans. 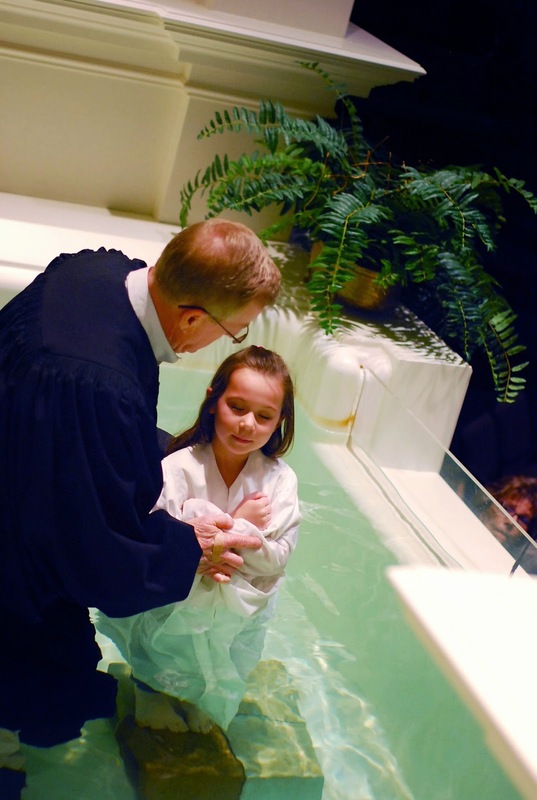 and then the week after that….out of the blue on July 2, 2014 after she brushed her teeth….she asked that if she were to believe that Jesus died on the cross for her sins…would she get baptized. and we went over it all again…i honestly wish i remembered what i said and what she said, but i don't. i was nervous. i was excited!!! and that night during her prayer….she asked Jesus to come into her heart. she said that she believed that He died for her sins. and to please forgive her for her sins. and she prayed those words without my lead. 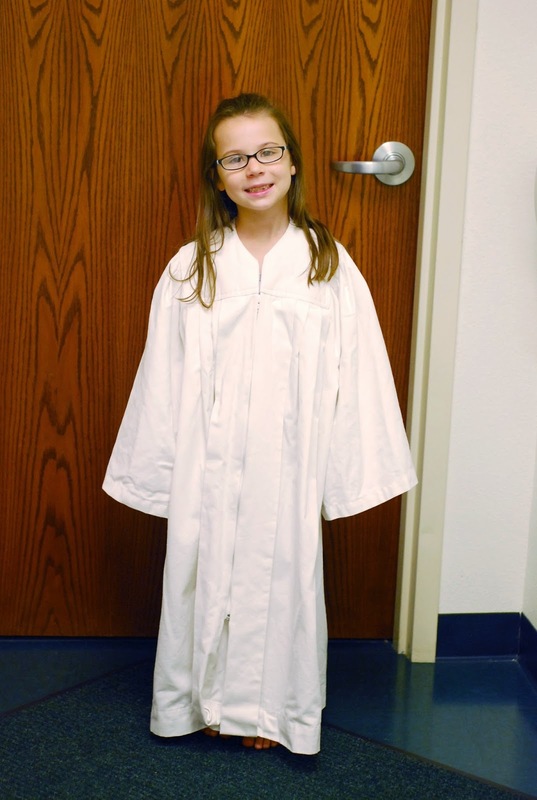 on sunday, July 20th…..she stood in front of our church and made her public profession of faith. 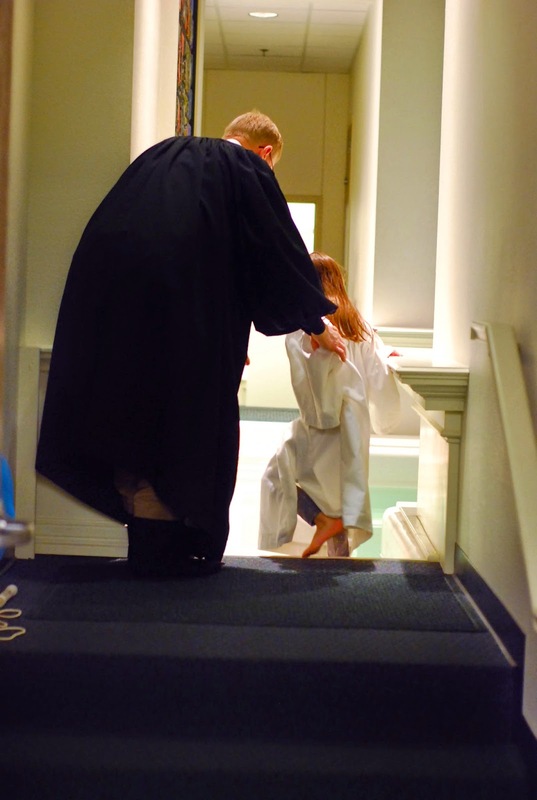 today, sunday, September 28th….Parker followed her profession of faith with baptism. and here is the part where i run out of words to say. the joy i feel know that she is saved. the responsibility i still have to provide her with knowledge and opportunity to learn more about Him. to KNOW Him. i've been blogging for almost 7 years now. and as far as talking about my faith goes…i would have to say that it has not been that much at all. and there are various reasons for that (some of them being that i feel inadequate with my knowledge, inadequate because of my sin, and really….just NO good excuses!!!). so that all changes now. and i may not be the best person to answer your questions…i do not know it all….i cannot quote scripture like i should be able to….. but if you're reading this, if you're struggling, if you just want to know more about my Jesus that saves…please comment with your email... and if i do not know the answer to your question, i will find out! last night, after she finished brushing her teeth she said to me, "there's a part of me that wants to kinda…. freak out a little bit. but then I know that i'm going to be ok because the Lord is with me." ***Right before the service began. ***Mr. Jessie let her dip her feet into the water to see how warm it was. Then he prayed over. ***We waited for what seemed like a long time but was probably less than 10 minutes. When Jessie had prayed over her…he mentioned that it was ok if they were a little nervous and such….and then said, "You don't really look like you're too nervous." And honestly, she wasn't. The longer we stood there…her in front of me, my arms around her, hands resting on her chest…I could feel her heart beating hard and fast. She looked up at me and whispered, "I am getting a little nervous." But mostly….she was excited. And after the choir was seated, it was go time. ***And after looking into the sanctuary for a split second….she looked up and gave a grin to Mr. Jessie (and as I snapped the picture, she blinked)…..and look at how peaceful and calm she is. i cannot look at this picture without getting a lump in my throat and tears in my eyes. over the past few months….it has just become so abundantly apparent to me that this world, and my life and, our life is full of a lot of 'stuff'. and do i have it all figured out? NO!!!! but i do want to know more and more about Him and to try my very hardest to live my life in obedience. will i mess up? everyday? YES!!! am i a sinner? YES!!! and that's why i need a SAVIOR. and so at the end of the day….the most important thing…. is to know and believe what Jesus did on the cross over 2000 year ago for me. for my kids. and for you. So very beautiful, honest, sweet and so truthful! Brought tears to my eyes again! What a beautiful post!! And what an awesome day! !